When Jennifer was a young girl, she grew up as a tomboy exploring the woods, ponds, and rivers, and riding dirt bikes in her native northwest New Jersey. She remembers listening to John Denver’s “Rocky Mountain High” as a young girl, and the Rocky Mountains out West lived in her imagination as a place of unimaginable beauty and adventure. When she was college-aged, she went West with her dad to the Bigfork, Montana, area for a visit. Jennifer says, “When we were flying into the valley, I just knew this was going to be my home, with the unmatched beauty of Flathead Lake and surrounding Rocky Mountains. As soon as we stepped off the plane, I said to my dad, ‘This is it.’ Two months later, she packed her VW Rabbit and drove cross-country to Bigfork. That was 30 years ago…..
And what an adventure it’s been. From her East Coast tomboy beginnings, Jennifer Shelley has reinvented herself many times, including having four incredible children. She considers this whole “being alive” thing to be a grand adventure and that if you’re not challenging yourself and having fun, you aren’t doing it right. Her passions are many, but the one that comes to the top every time is shooting sporting clays. Jennifer is a certified instructor and competitor in clay shooting. You get the sense that when she’s out shooting, that’s when everything clicks for her. For many years, Jennifer worked in the software development and technology industry, but a few years ago, she discovered that real estate was her professional calling. For someone who was pulled so strongly to the West, who found her home in the Flathead Valley and never looked back, it makes sense that she’s driven to help others find their home or their special retreat in the place she loves. Western Home Journal checked in with Jennifer to hear about the state of the Montana real estate market. Q. How did you get into selling real estate? A. When I first moved to Bigfork, my dad’s friend was a broker here and talked to me about pursuing that line of work. I was just finishing up my software development degree, so I didn’t want all that time and money to go to waste. I finished my education and pursued a job in that field. I managed tech development projects and gained invaluable experience during my years in that field. But the 2008 recession happened and I was laid off. I had to start over and decide what to do next. As a single mom, I needed a steady income, but as a passionate and driven person, I needed something that I could feel good about doing. It was kind of crazy actually. It was 2008, the market was tanking.Much of the realtor base was getting out of real estate, sales were hard to be found. It was one of the worst times in history to become a real estate agent, but that’s exactly what I did. As others were leaving the field, I came in, energized, with levels of interests in many different activities. But it wasn’t easy. I sold one of my guns to pay my first month’s brokerage fees. I had four other jobs just to pay the bills and support my family while I got my real estate practice off the ground. I had a few tough years, but by 2013 I was one of the top 5% of agents in the area and in 2015, I earned top broker recognition in the top 1% of agents in the Valley. It’s been an amazing, crazy journey and it’s just taking off. Q. How is the market looking these days? A. I sold 62 properties last year, a lot of work but incredibly satisfying when I think of the wonderful clients I have been able to meet, work with, and have relationships with that will last for many years to come. People want to move here and the economy has recovered enough so people are looking to invest in real estate again or they are comfortable enough to buy that vacation home, retreat, or retirement property. Q. What are the major drivers for buying a house in the Flathead Valley? A. Look around. The natural beauty and the recreational opportunities are the major driver. A close second are the amazing communities we have around here. From Whitefish to Bigfork, the schools are exceptional, the cultural scene is noteworthy. This area is the full package. Q. 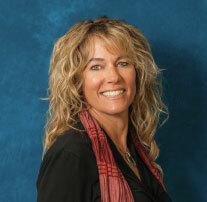 What are your biggest challenges when it comes to selling real estate in the Flathead Valley? A. That’s a hard one to answer and that’s part of what I love about real estate. For the most part, when people are looking to buy property here, it’s because they have a sense of something special and unique about this place, a ‘calling,’ so to speak. The joy of what I do is listening to that desire that has been deep inside them for many years, and to make this Valley a reality for them. There are also those who are relocating—choosing a lifestyle in the outdoors over the hustle and bustle of a big city. For those who are looking to relocate, they know they may give up something in terms ofsalary or professional opportunity, but what they gain in their overall balance is unmatched; it’s immeasurable and people are willing to make that trade. Q. What demographics do you see purchasing in the area? Are there young families or retirees? A. It’s really a mix of all demographics and certainly, it depends on the area. 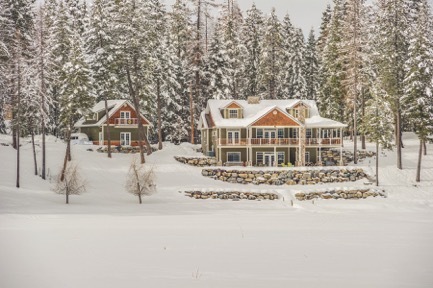 In Whitefish, we’re seeing a lot of established buyers looking for investment properties. In Kalispell, we see quite a few working families. And Bigfork is attracting established buyers looking for their mountain retreat or their second home, as well as those working families that want a more rural setting. Q. What separates the Flathead Valley area from other mountain towns?